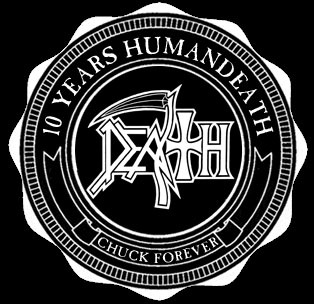 Here’s my Chuck Schuldiner Birthday Gift for today – some Live Stuff from the DEATH To All Show in Tilburg / Holland. I made this Video at the Neurotic Death Fest Show – where D.T.A. played. This Day was also my Birthday, which made this Concert very special for me. Gene Hoglan (Individual Thought Patterns/Symbolic) and Sean Reinert (Human). On bass will be Steve DiGiorgio (Human/Individual Thought Patterns) and Scott Clendenin (The Sound of Perseverance). Guitar duties will be shared by Paul Masvidal (Human), Shannon Hamm (The Sound of Perseverance) and Bobby Koelble (Symbolic). I will make a trip from Germany to N.Y. Since the untimely passing of one of the greatest guitar players of all time and an amazing human being, we have been organizing tribute concerts in Skopje, Macedonia. It is a small but important event, to experience again his gift and his creations that he unselfishly shared with the world. FIRST original speed painting of a portrait of Chuck – live! 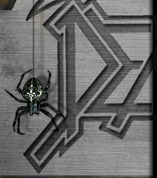 The show will take place in the Youth Cultural Center (MKC) on 17.12.2011 in Skopje, Macedonia. 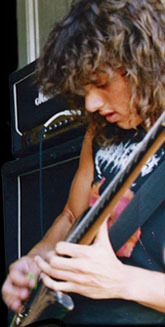 To honor Chuck Schuldiner's (DEATH, CONTROL DENIED) legacy as a death metal pioneer, an inimitable vocalist and one of the best guitarists to thoughtfully shred the six-string on the 10th anniversary of his death, Lars Gotrich of NPR's "All Songs Considered" blog asked eleven metal musicians to pick their favorite DEATH song, and write what it and Schuldiner has meant to them. For Paul Masvidal (CYNIC), Gene Hoglan (FEAR FACTORY) and Richard Christy (CHARRED WALLS OF THE DAMNED) — all former members of DEATH (and there have been a lot) — it's telling that all three chose songs from 1991's watershed album, "Human". In the modern metal scene, younger musicians like Arthur von Nagel (CORMORANT), Elizabeth Schall (DREAMING DEAD) and John Dyer Baizley (BARONESS) all grew up with the legend of DEATH and have taken its heavy lessons to heart. Read the article in its entirety at NPR.org. The latest reissue from DEATH's legendary catalog, 1993's "Individual Thought Patterns", was made available on October 25 in North America; October 28 in Belgium, Netherlands, Luxembourg and Germany; and October 31 in the rest of Europe via Relapse Records. The effort was remixed by Alan Douches and has been re-packaged to include a second and third bonus disc worth of previously unreleased demos and a full live set recorded in Germany during a 1993 European tour. 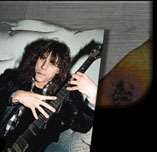 Also included on the third bonus disc exclusive to this reissue are rare riff tracks from the Chuck Schuldiner archives. "Individual Thought Patterns" follows the recent reissues of "The Sound Of Perseverance" and "Human". Like those reissues, "Individual Thought Patterns" is available as a deluxe three-disc set, a two-disc standard set, and deluxe digital. Thanx for this amazing work !!!! "Breaking The Broken" by Control Denied from Doug Cook on Vimeo. DEATH's legendary fourth album, "Human", will mark its 20th anniversary with an official reissue on June 21 in North America (June 27 internationally) via Relapse Records. 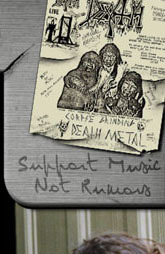 The LP was entirely remixed by longtime DEATH producer Jim Morris and remastered by Alan Douches (MASTODON, CONVERGE, MISFITS). This special 20th-anniversary edition of the album will come complete with expanded packaging featuring liner notes from Morris as well as former DEATH/current CYNIC guitarist Paul Masvidal and over an hour of newly unearthed, previously unreleased early demo tracks. "Human" will be available on two- and three-disc sets as well as digitally. Commented Morris (pictured below): "[This was] an awesome experience for me." 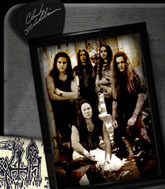 He added, "We were contacted by Chuck Schuldiner's intellectual property lawyer, Eric Greif, the former manager of DEATH." Added Eric Greif: "The former DEATH guys Paul Masvidal (guitar), Sean Reinert (drums) and Steve DiGiorgio (bass) are all 'ecstatic' about the prospect of a heavier mix, where all the instruments can be heard and modern technology utilized. Jim said he took into account everything he and Chuck agreed upon during the making of 'Symbolic' (1995) and 'The Sound Of Perseverance' (1998) as his guide for what he believed Chuck would want from such a remix. I myself am thrilled." CD pre-orders are being accepted now at this location (digitally via iTunes). "Human" is the best-selling DEATH album of the SoundScan era, having shifted around 95,000 copies in the United States since its October 1991 release. Ab heute biete ich wieder 50 rare Shirts aus meiner Sammlung an. Dieses mal sind auch 3 Death Shirts mit dabei. Here are again 50 rar Metal Shirts from my private Shirt Collection. What happens in the Past and what's going on in the future. 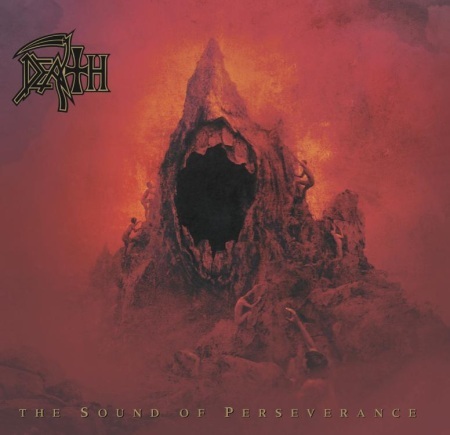 DEATH's seventh and final album, "The Sound Of Perseverance", will be reissued on February 15, 2011 in North America (February 21 internationally) via Relapse Records. 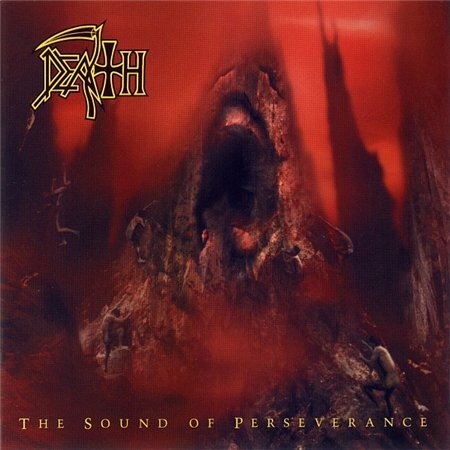 The first in a series of official DEATH reissues slated for 2011, "The Sound Of Perseverance" has been remastered and expanded to include a second disc of previously unreleased demo material. The reissue will also include enhanced artwork (see below) and liner notes from the original cover artist, Travis Smith, as well as liner notes from DEATH guitarist Shannon Hamm and never-before-seen photographs from "The Sound Of Perseverance" era. A special deluxe version of the "The Sound Of Perseverance" reissue will also be made available exclusively via Relapse mailorder and digitally via iTunes. The deluxe version will include a third bonus disc of unreleased material. Additional reissue details, including pre-order options, will be announced shortly. The bulk of DEATH's catalog was made available digitally for the first time. "Scream Bloody Gore", "Leprosy", "Spiritual Healing", "Human", "Individual Thought Patterns" and "The Sound Of Perseverance" can be purchased via iTunes at this location.  Relapse recently released an expanded version of the classic debut album, "The Fragile Art Of Existence", from Schuldiner's progressive heavy metal band CONTROL DENIED. The reissue includes bonus tracks, extra band photography, expanded art and packaging and more. A Chuck Schuldiner biography by Ian Christe — author of "Sound Of The Beast" and "Everybody Wants Some: The Van Halen Saga", and host on Sirius Satellite Radio's Hard Attack — is also being planned.